We begin our second season with a woman whose life will take us two episodes to discuss. She wasn’t just black dresses, and talking about herself in the third person, you know! She led a very colorful and unique life! This woman was so influential that she had an entire AGE of improvements, fashion, behavior (and some really fantastic houses) named after her. Born on the 24th of May, 1819 in Kensington Palace to the Duke and Duchess of Kent, Alexandrina Victoria jumped the line to the throne. We cover the complicated path to the crown in more detail in the podcast, trying to make it as easy as possible to follow. 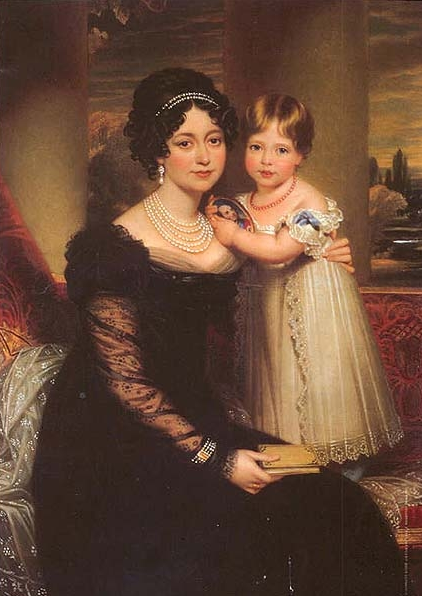 Basically, it had been a race to see who would bear the heir after Princess Charlotte, the only legitimate child of George IV, died during childbirth a few years prior to Victoria’s birth. 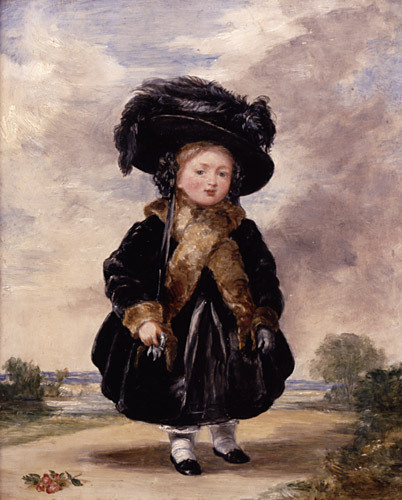 When Victoria’s father, Edward, died while Victoria was an infant, and his three brothers failed to produce an heir, she moved at a rather quick pace to the head of the line. 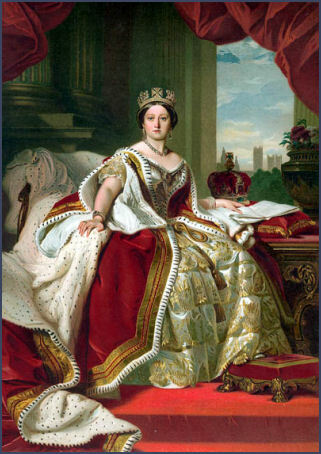 Victoria was raised by her mother in a pretty wacky manner following a set of rules known as, “The Kensington System”. This method gave control over all aspects of Victoria’s life to her mother, as well as Sir John Conroy, a very ambitious and controlling man whom the Duchess had taken into her trust and was her Comptroller. Who Victoria saw, what she learned, where she traveled, even going so far as to not allow her to descend stairs on her own- these two people oversaw all of it, and, at times, spread slander about the heiress presumptive. Why? They were bucking for a Regency. They wanted Victoria to sign a document that stated they- Conroy being the brains behind the pair- would have decision making power over her. But our Princess was born to lead. Even when subjected to some of the most manipulative methods possible, she never gave that signature. We cover details of her life as a child, but that childhood ended at age 18 when her beloved Uncle and King, William IV died in 1834. 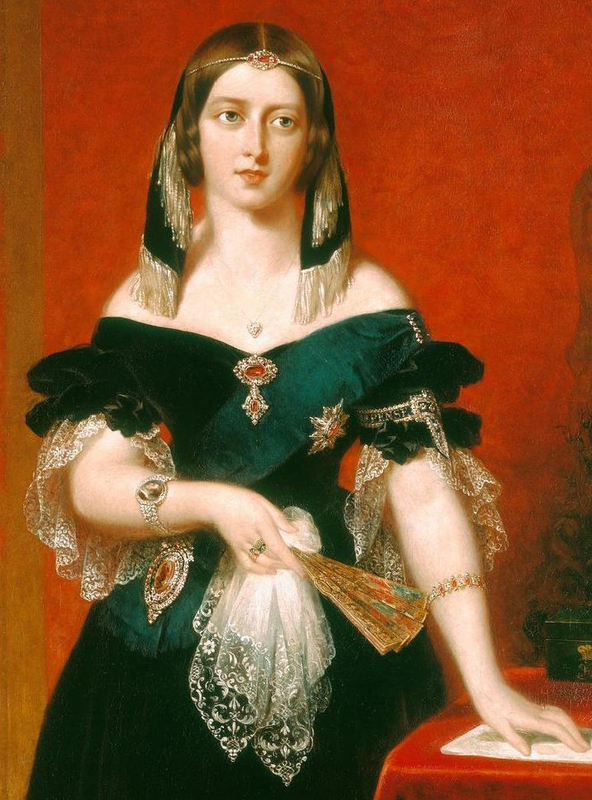 She dropped the Alexandrina, and simply became Victoria, Queen of Great Britain and Ireland- one day a controlled teenager, the next head of the British Empire. Guess who is walking down stairs by herself? Guess what Lord Conroy is banned from a certain Queen’s presence? Which crown will we wear today, Your Highness? We speculate a lot (because we can) about Victoria’s lifelong reliance on some male to aid her decision making. Not that it’s bad, it’s just how it appeared. First up: Lord Melborne who, at the time of her ascension, was head of the government. 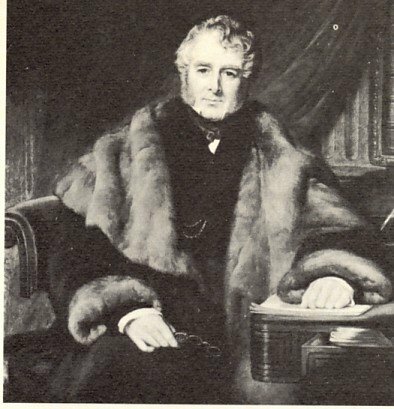 We talk about the Whigs and the Tories and the trusting relationship Victoria had with this man. He taught her the political ways , and she learned quickly diving right into the political world and making her impact on it. We share some really nifty stories about her being the first sovereign to take up residency in Buckingham Palace, and some juicy tales about the early days of her reign as her popularity rose and fell and rose again. We told you, colorful life! 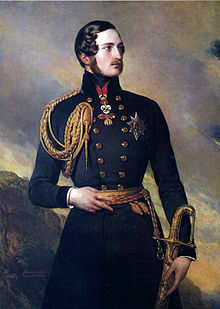 And made even more so with the entree of Prince Albert of Saxe-Coburg and Gotha. 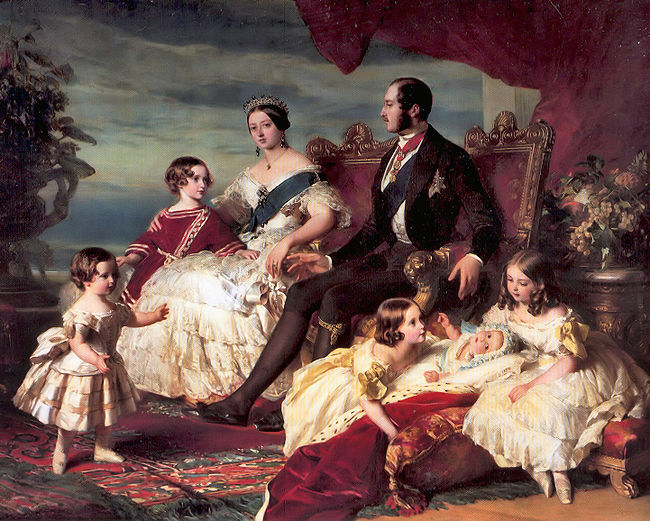 The first cousin to the Queen, Albert and Victoria had met as children, but when the parade of suitors began their common uncle, Leopold (husband to deceased Princess Charlotte) encouraged the two. Leopold had been hard at work back in Germany with young Albert, grooming him for this very role. But Victoria has spent her entire life working against manipulation- she can smell it coming. What she can’t see coming is love. 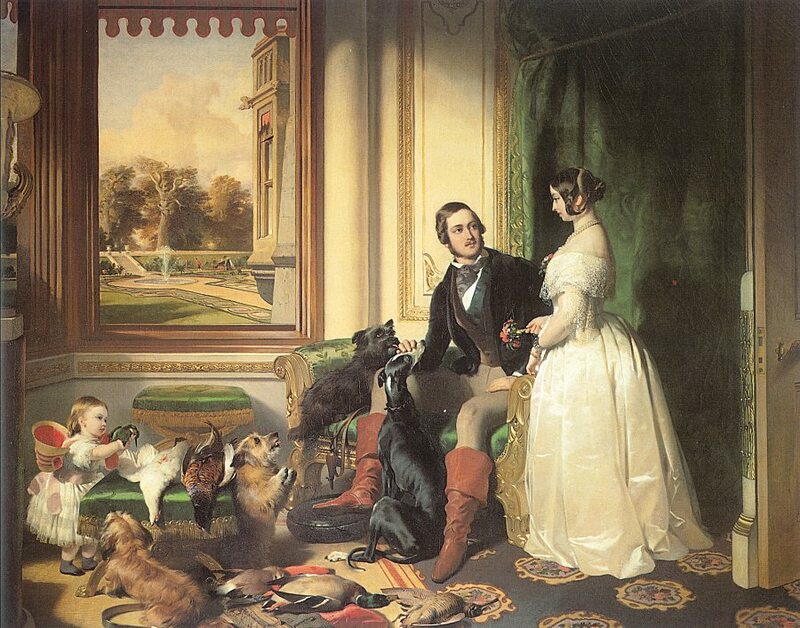 Albert and his brothers visit their cousin, and within the week Victoria proposes. It’s a love match that happens to be a smart match as well. Enter the second man that Victoria relies on as her sounding board. In a very regal wedding, they become Victobert. Ok, Victoria and Albert. This is the stuff novels are made of- partners of equal intelligence, shared convictions and a fiery romance to boot! 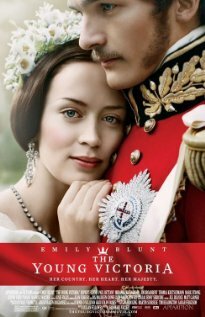 A movie that we liked and thought illustrated a great deal of the early part of her life is, The Young Victoria, a 2009 flick starring Emily Blunt and Rupert Friend. We question a few things, like Emily Blount not sharing a physical resemblance to the short, and um, curvy Queen, and the accuracy of the romance of the two, but overall a really great look at the early life of both the Queen and the pair which really are a love match that goes down in history. 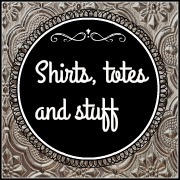 Come back next time when we dive into the life of Victoria without Albert (THAT’S where the black dresses come in! ), drama about political games and manipulations of the longest reigning monarch in British history. What does happen to all those kids? Did she or didn’t see have an affair with a strapping Highlander? Mourning ( noon and night)? And more! Stay tuned for part two coming soon and we will link you up with a nice list of ways you can learn more about the life of this fascinating woman! 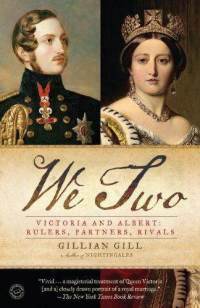 If you would like some reading to keep this story going for you, we both recommend We Two, Victoria and Albert: Rulers, Rivals, Partners by Gillian Gill.